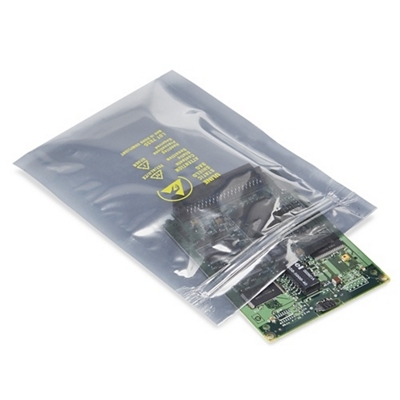 Internal Size Internal Size 4" x 6"
Secure static sensitive items (radios, GPS, GLONASS, etc.) quickly with our double-track zipper closure. Ideal for secure storage of devices or secure transfer. 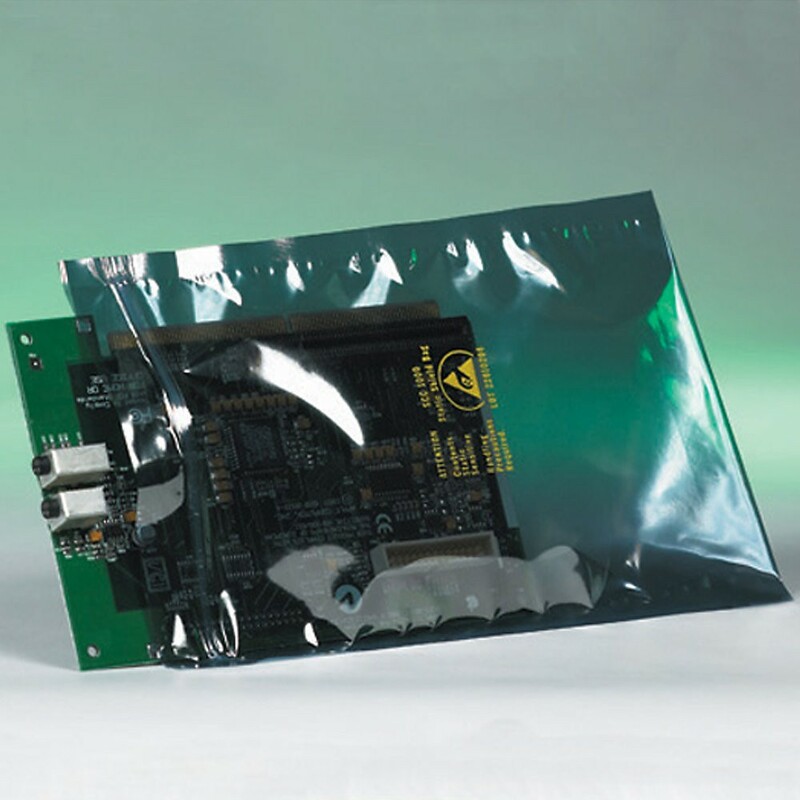 Metal "Faraday cage" layer shields items from electronic energy inside and prevents static build-up. 3 Mil transparent metallic film, with a total of 4 layers of protection to guard against charges inside or out. The layers consist of a static dissipative coating (outer), polyester, aluminum shield and the final inside layer is static dissipative polyethylene. EMP (electromagnetic pulse) and EM (electromagnetic) field protection, will shield both externally and internally. Also good for static sensitive environments such as areas with explosives or oxygen rich. Q: What is a faraday cage? Thanks for the question. According to Tech Target (2005) "A Faraday cage is a metallic enclosure that prevents the entry or escape of an electromagnetic field (EM field). An ideal Faraday cage consists of an unbroken, perfectly conducting shell" (P.1). To put that simply its a device that prevents radio signals to escape or enter. You could put you GPS inside one of our bags and it would prevent the device from communicating with the satellites. You could consider this a blocking or jamming bag of sorts. It will also provide EM (electromagnetic) protection and an element of EMP (electromagnetic pulse) protection. Depending upon the exact type of EMP/EM. Q: What types of devices can this protect or block/jam? Thanks for the question. We have used this exact bag to block GPS L1/L2 transmission as well as the Russian equivalent which is GLONASS (global navigation satellite system). Has been tested and defeated/blocked Suunto Traverse, Garmin Foretrex, etc. The benefits to being able to shield your device from being tracked are obvious. Since all GPS and GLONASS devices operate around the same range (GPS 1227.60 MHz, 1575.42 MHz and GLONASS 1598.0625 MHz to 1607.0625 MHz) we expect this will block an plethora of navigation devices. Great option if you or a loved one is suffering from Electromagnetic Hypersensitivity and you want to go hiking or touring while limiting radiation emitted from navigational devices. This will not block cellular phone reception or Wi-Fi signals, only navigational frequencies.